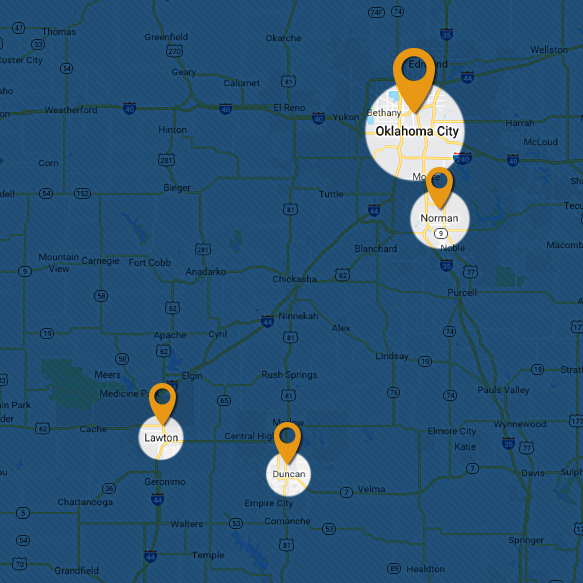 When you need heating and cooling services in Oklahoma City, Lawton, or Duncan, you can always trust your Top Rated Local® HVAC experts, Comfort Solutions Heating & Air. We set ourselves apart from other heating and cooling companies by providing our clients with services that are entirely focused on your satisfaction from flexible, round-the-clock scheduling to expert HVAC care that can’t be topped by any other company in the industry. With every service we provide, our integrity and your trust mean everything. We don’t just want you to call us for an AC or furnace replacement, we want to always be your trusted provider for any HVAC services you need. That’s not to say that we won’t complete the job correctly each and every time, however. With every repair and replacement service, we will ensure that your product is set up to last as long as possible without need for repairs. But with any appliance in your home, there’s always a chance that something will go wrong. And if it does, you need an HVAC company that you can rely on. One of the greatest things about Comfort Solutions Heating & Air is that we are a full-service HVAC service company. Why call anyone else when you can have one reliable company that can help you with all your HVAC needs? Calling multiple HVAC companies in order to take care of everything you need can get costly and takes a lot of precious time out of your day. We are specialists in all of the services we offer, so there’s no need to worry whether you’re getting expert advice or not. 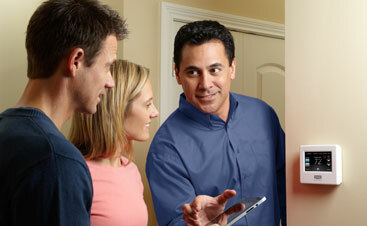 At Comfort Solutions Heating & Air, it’s important to us that you get a great service for a great price. Home heating and cooling is something that’s important for every homeowner, and we believe that everyone deserves a quality service in order to keep their home safe and comfortable. In order to ensure that you get the best deal, we regularly provide our customers with special offers, covering our full list of services. For these emergency situations and any other HVAC repair services you may need, visit our Specials page to see what deals we’re currently offering. Tune-up services: Air Conditioners and furnaces require regular tune-ups to run efficiently and save you money with each bill. 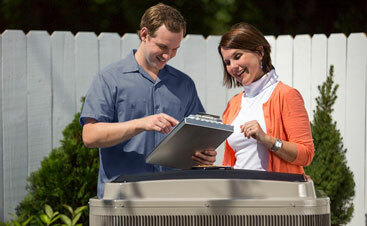 Regular maintenance on HVAC components is also necessary to get the most life out of your furnace and air conditioner. 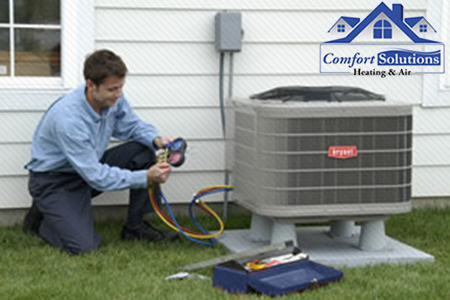 Comfort Solutions Heating & Air is currently offering twenty five dollars off tune-up services. Free indoor air quality tests: Maintaining indoor air quality is one of the most important things you can do to keep your home safe and comfortable for your family, and the first step in this process is always to get an indoor air quality test to see if a problem is present. If you have elders, small children, or anyone with allergies or other health issues in your home, poor indoor quality can result in an emergency situation that should only be handled by a trained professional. If you suspect that you have poor indoor air quality or you have never had a test before, you should contact us immediately. Some of the airborne pollutants we may breathe in our homes include chemicals, gases and organisms like mold and pests, and can result in itchy eyes, sore throats, headaches, and much worse side-effects in people who are already afflicted with health issues, which increase irritation cause by these, such as asthma and allergies. Contact Comfort Solutions Heating & Air today to learn about our free indoor air quality testing procedure and discover how we can help. Rebates on system replacements: If you have an old heating or cooling system, it may no longer be financially sound to continue doing repairs or regular maintenance on it. When it comes time to replace your HVAC system, you want to trust in someone who’s on your side. 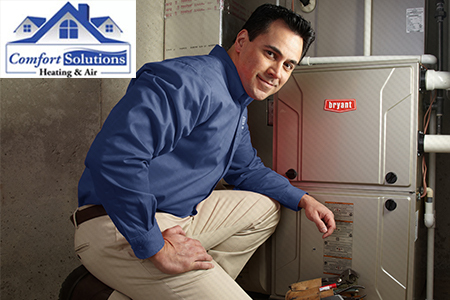 At Comfort Solutions Heating & Air, we have up to $8,500 in combined rebates for select system replacements. Contact us today to hear about all the savings we can provide you for your for your next HVAC servicing in Oklahoma City, Lawton, and Dayton. Unlike many HVAC contractors, Comfort Solutions Heating & Air can offer you assistance with any HVAC issue you’re having—repairs, replacements, installations and more. We are expert, world-class HVAC specialists, always prepared to give you a great value and work around your busy schedule. If the HVAC system in your Oklahoma City, Lawton, or Dayton home is twelve to fifteen years old, it’s most likely time for a replacement. Poorly performing HVAC systems can lead to skyrocketing energy bills, poor indoor air quality, and you could be spending money on a system that will soon break down or need replacement. At Comfort Solutions, we’ll inspect your air conditioner or heater and determine if you need a replacement or if it can hold out a couple more years. Having an HVAC system that’s running efficiently is important for maintaining a comfortable and healthy living environment for your family. Visit our “Maintenance Agreements” page today to learn more about joining our club. We guarantee all of our club members the highest quality services in the industry, every time. What are you waiting for? 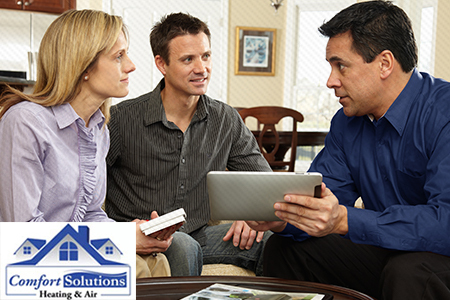 Contact your expert HVAC specialists at Comfort Solutions Heating & Air today. From the moment you call, stating your issue your needs, to the moment we leave, you’re guaranteed to experience the most quality customer-care in the industry. 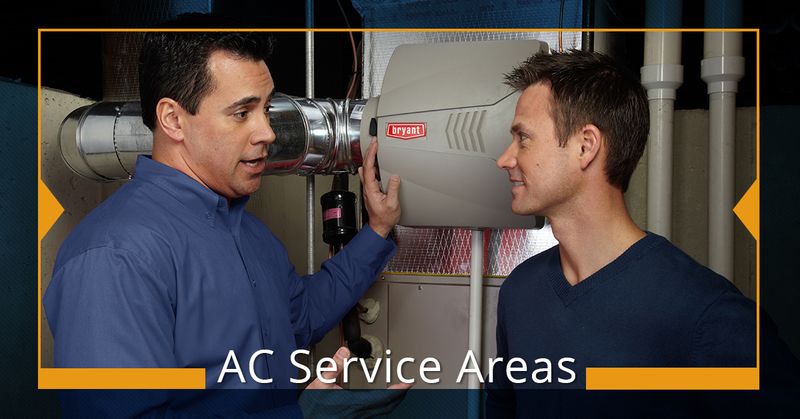 We aren’t just HVAC specialists, we’re experts at customer service. From the second you call, understanding the issue you’re having is our highest priority. Visit our “Testimonials” page to see for yourself what our happy clients have said about us, and how their lives were impacted. You should never have to deal with deceptive HVAC company, call the experts at Comfort Solutions Heating & Air.